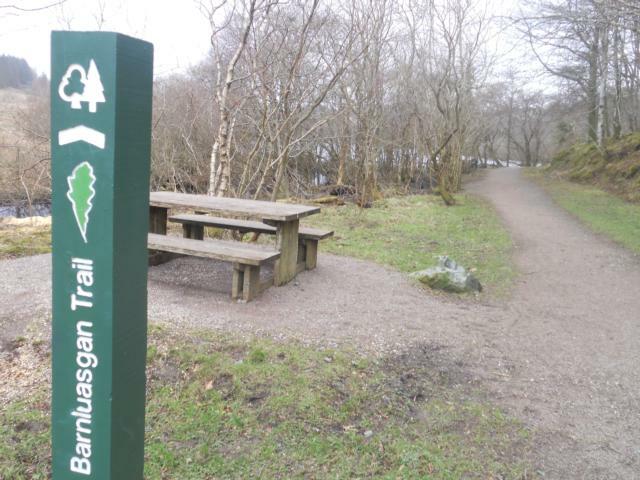 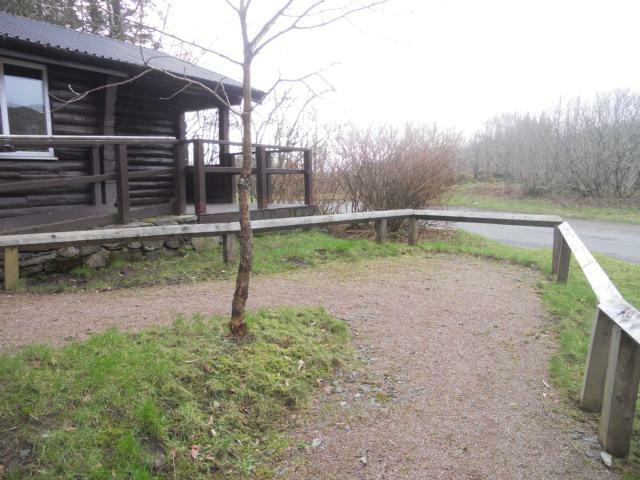 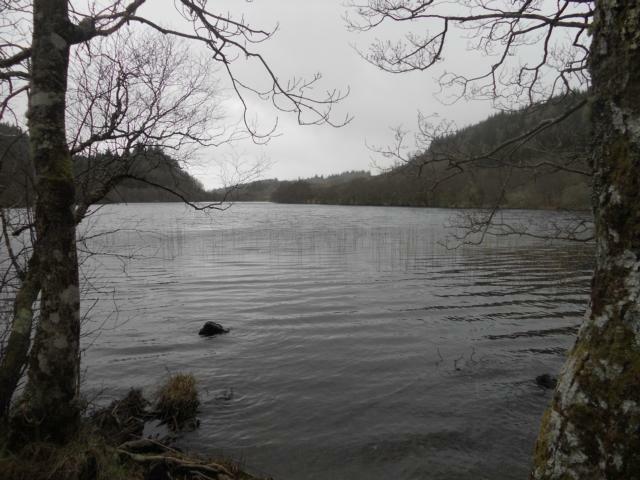 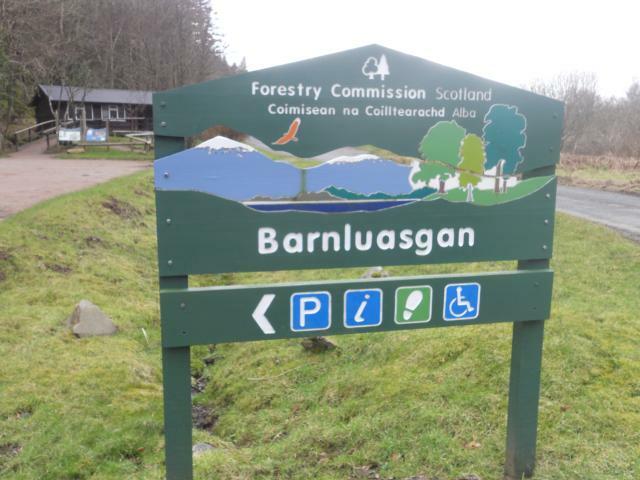 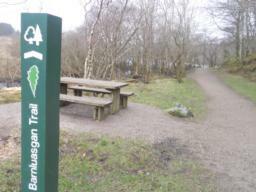 Barnluasgan Trail can be started from Barnluasgan Information Centre in Knapdale Forest (OS Grid Reference: NR790909) . 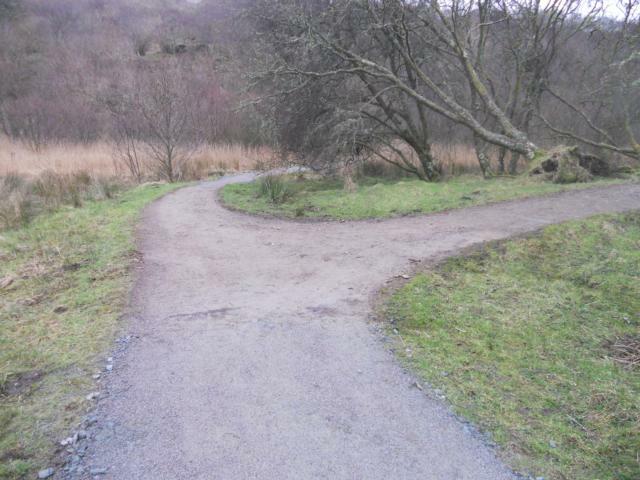 Lochgilphead is the nearest town or village. Works were underway on the date of the visit, so the paths may be more accessible presently. 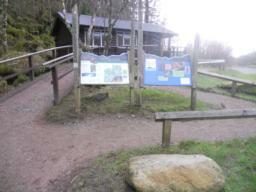 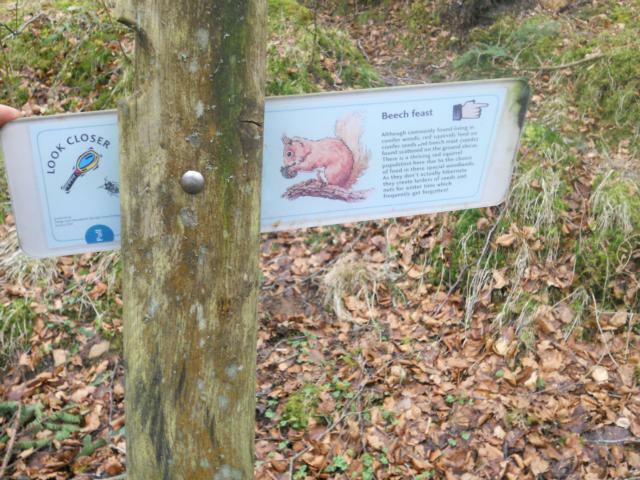 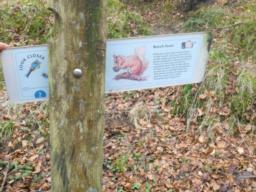 The Trail is particularly good for children due to the 'wildlife detective' interpretation and the accessible birdhide. 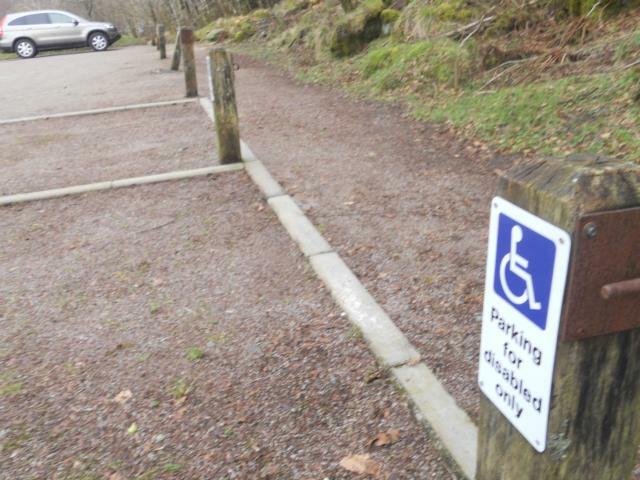 Three accessible parking areas are located in the car park. A small visitors centre is located at the far end of the car park. 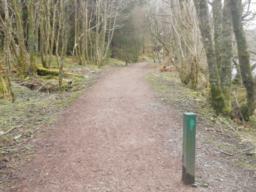 The max gradient was 11% on the path up to the Visitors Centre. 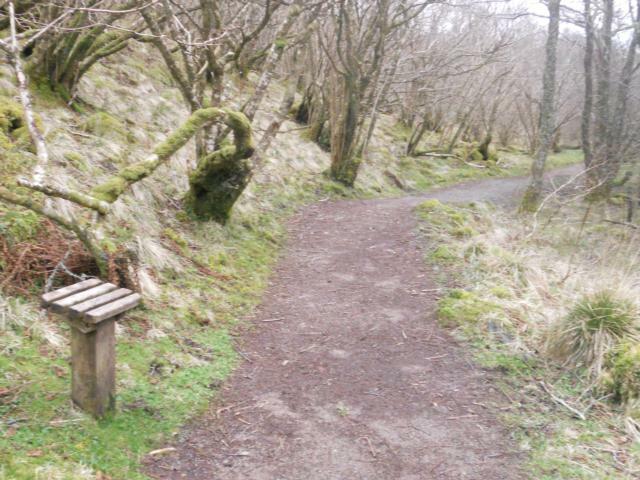 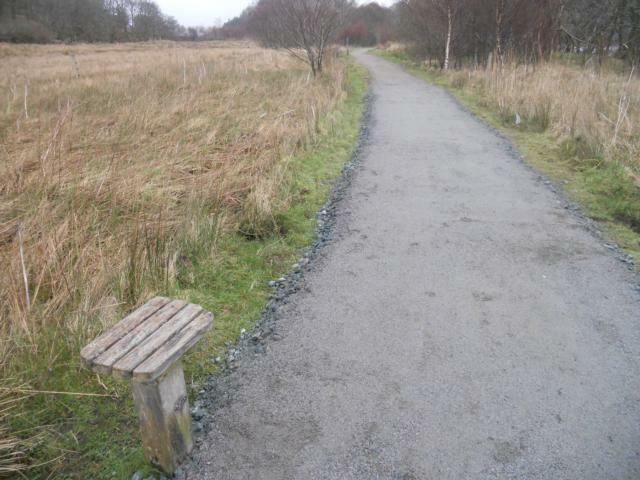 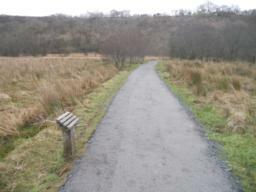 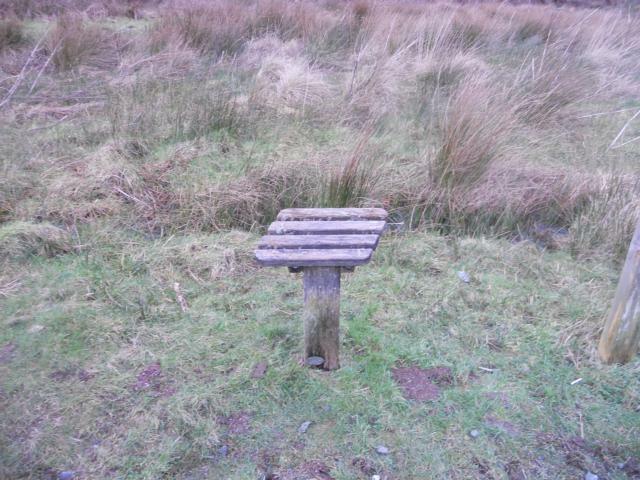 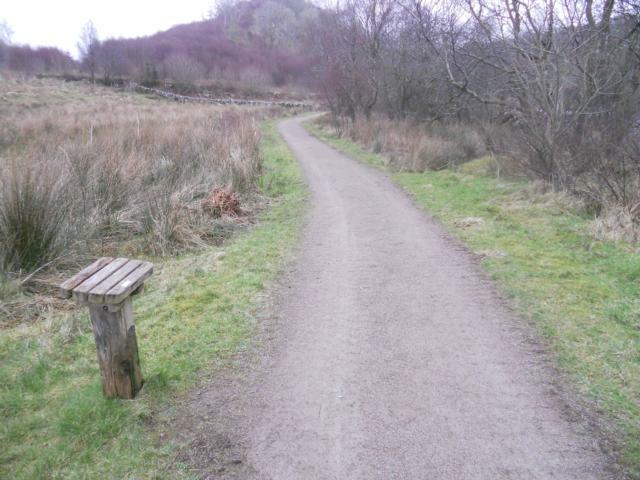 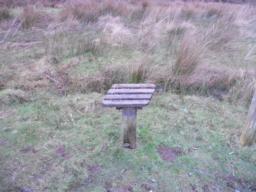 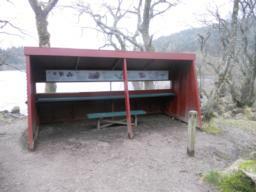 Two picnic benches are located at the start of the trail. One of these is accessible to wheelchair users. 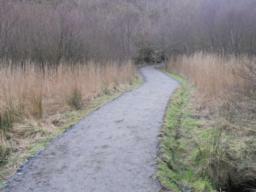 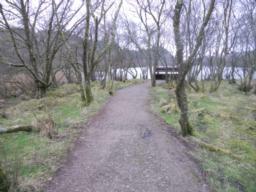 The trail can be followed in either direction around the Loch. 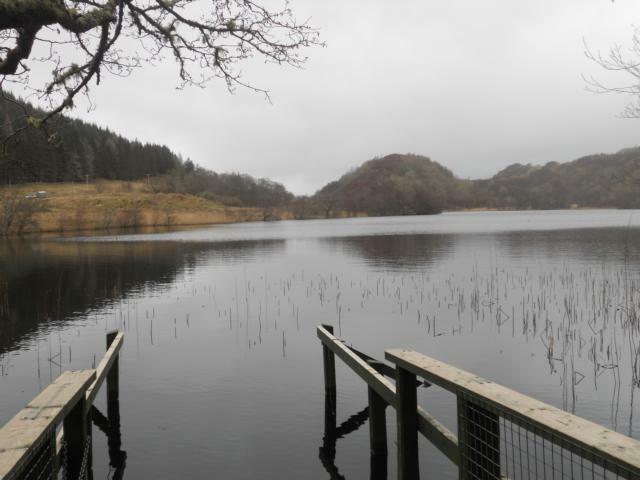 Taking a left and going in a clockwise direction(with the Loch on your right-hand side) is the most accessible section of the path. 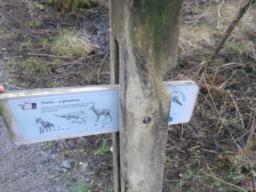 The Barlausgan Trail is a haven for wildlife. 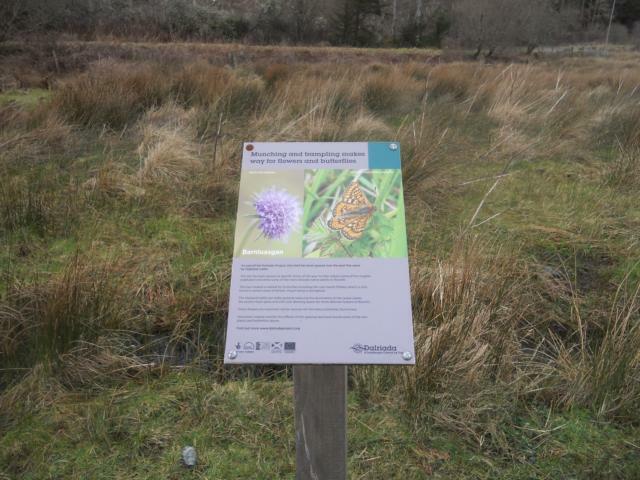 Rare butterlies are found in this area. 'Perch points' are situated at regular intervals along the path. 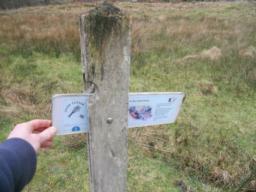 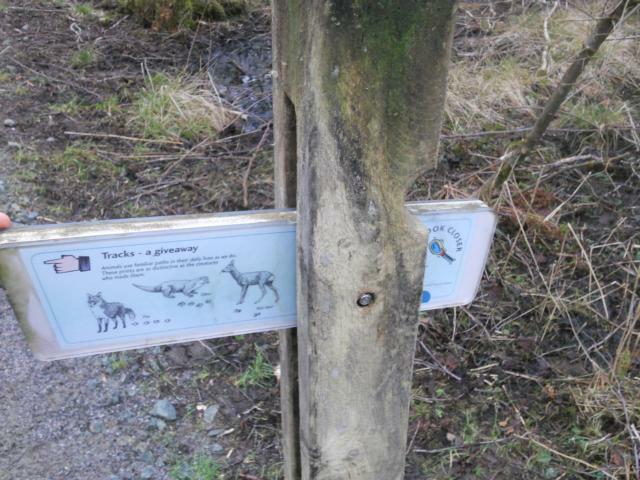 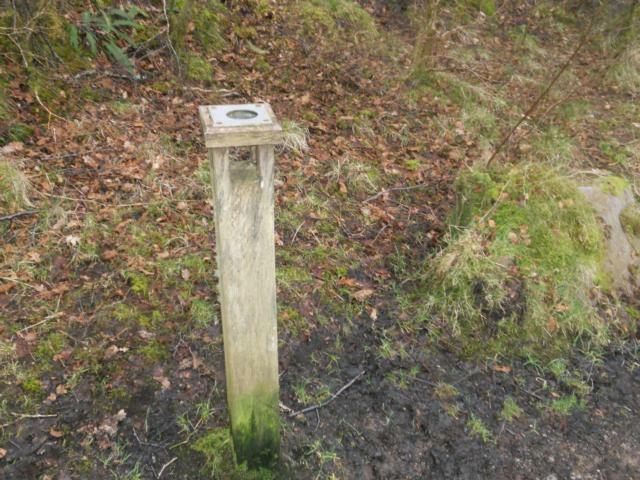 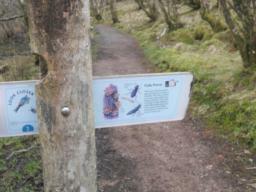 A number of information points are found along the trail, found in 'signal box' style posts. 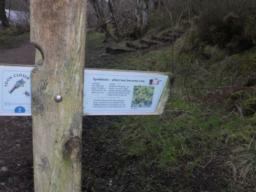 Pull the lever to reveal. 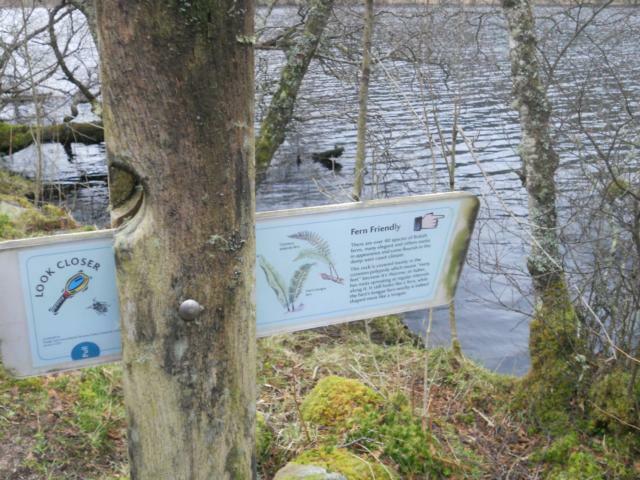 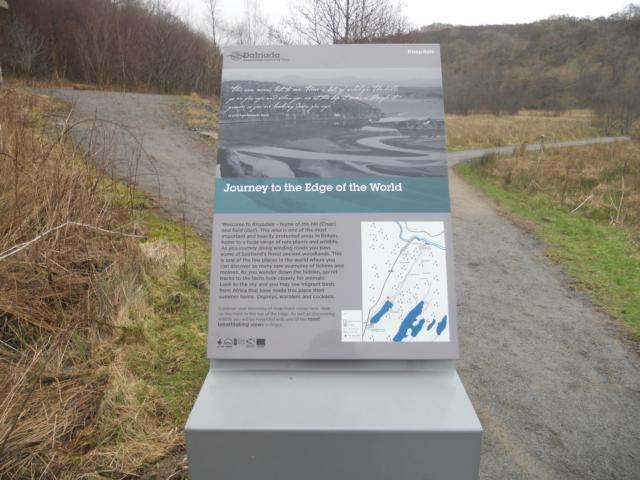 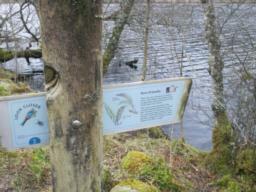 Interpretation board at the far-end of the Lochan. 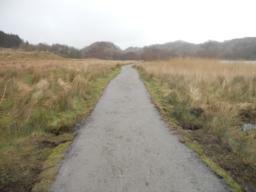 At the far end of the Lochan, the path widens to approx 1.8m. 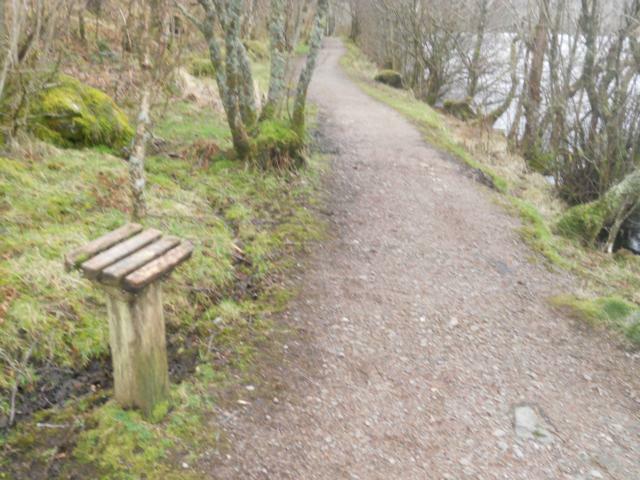 It's worth a quick detour here. 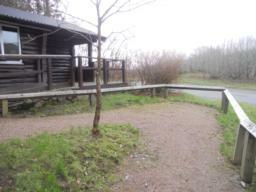 Turn right and follow a short trail to the birdhide. Follow the path for approx 20m. The bird hide offers an beautiful and hidden view across the Lochan. 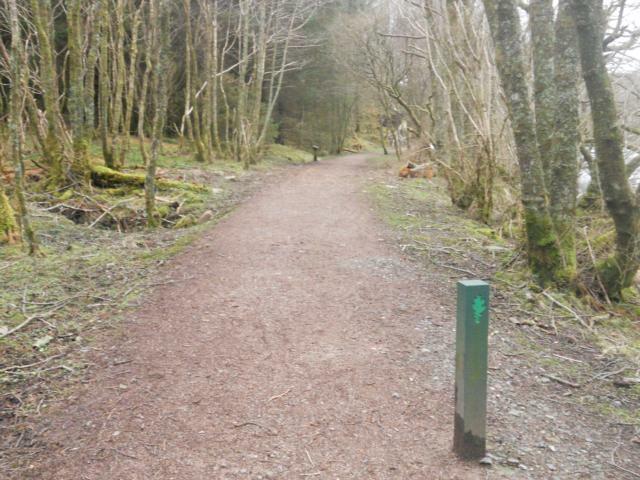 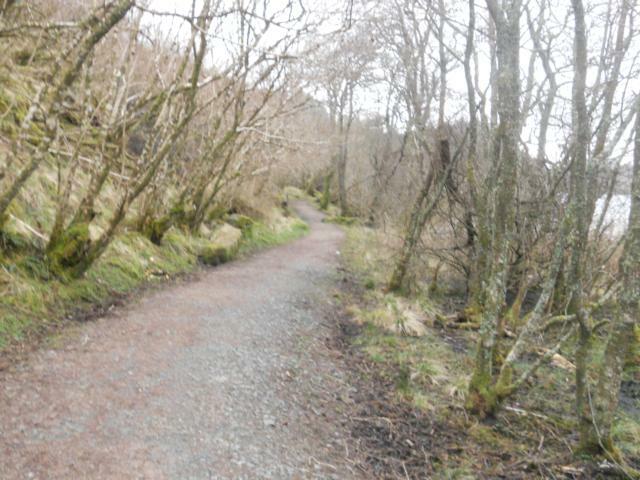 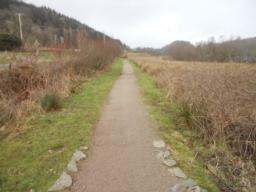 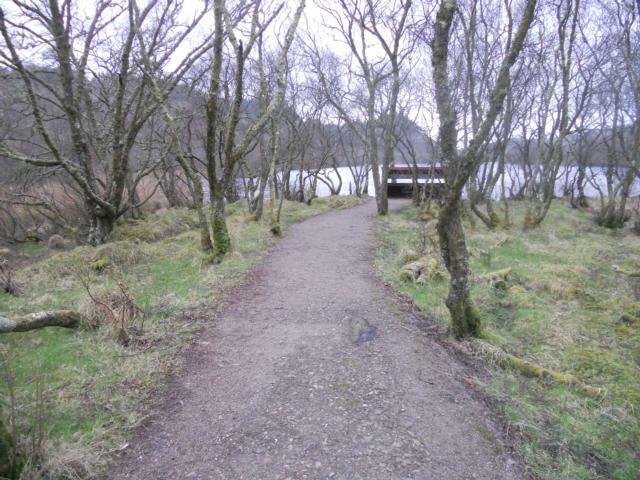 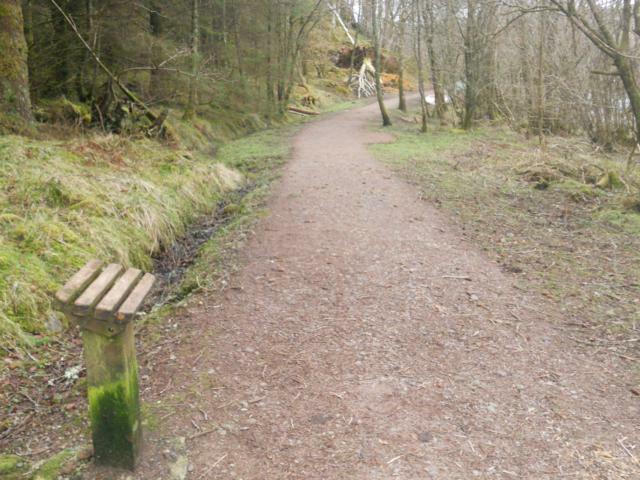 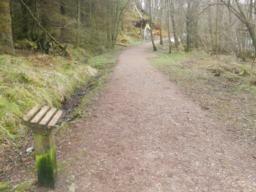 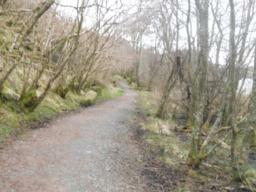 The Lochside path, described as 'all ability' as continues for another 20m or so. 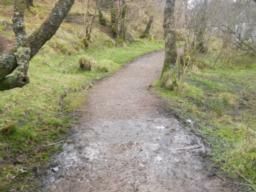 At this point, the path undulates and the quality of the path deteriorates, due to a build-up of leaf litter. With assistance, people with mobility problemsmight consider continuing along the circular trail (as opposed to doubling back and retracing steps along the more accessible section). 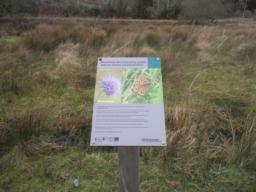 Interpretation focusses on ecology and biodiversity. 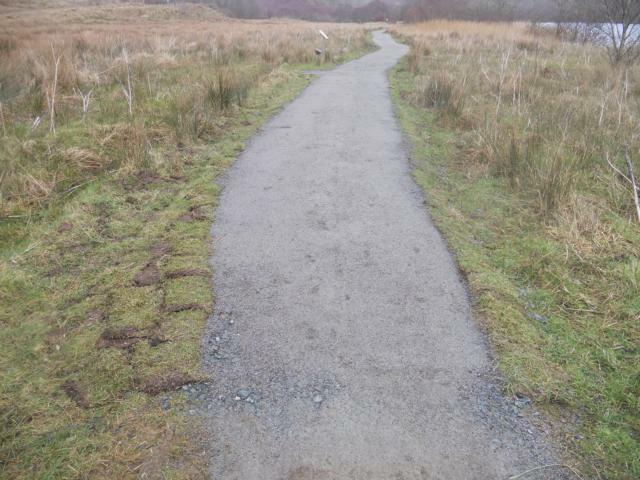 Small sections of the path may become muddy during periods of wet weather. This post has a magnifier on the top for viewing small wildlife. 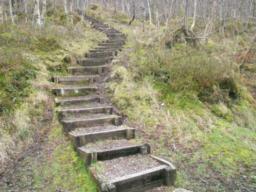 These steps lead up to Oakwood Trail. 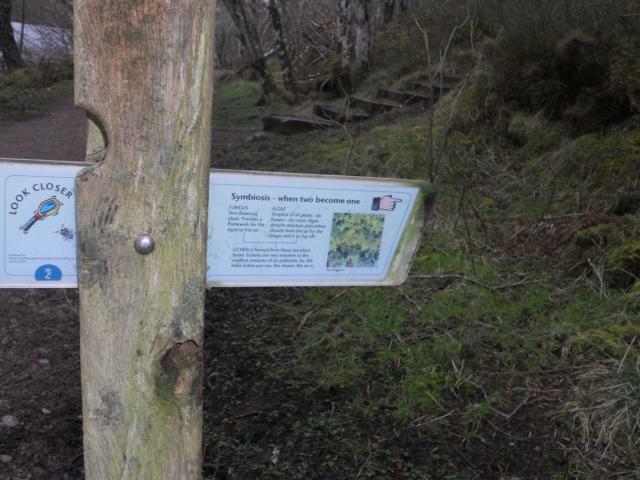 The trail takes in old coppiced woodland. 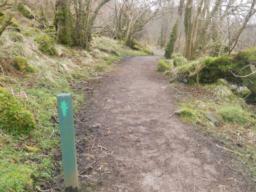 End of trail. 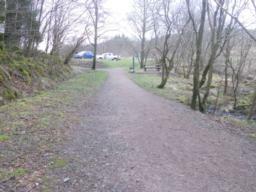 The car park can be seen in the background.